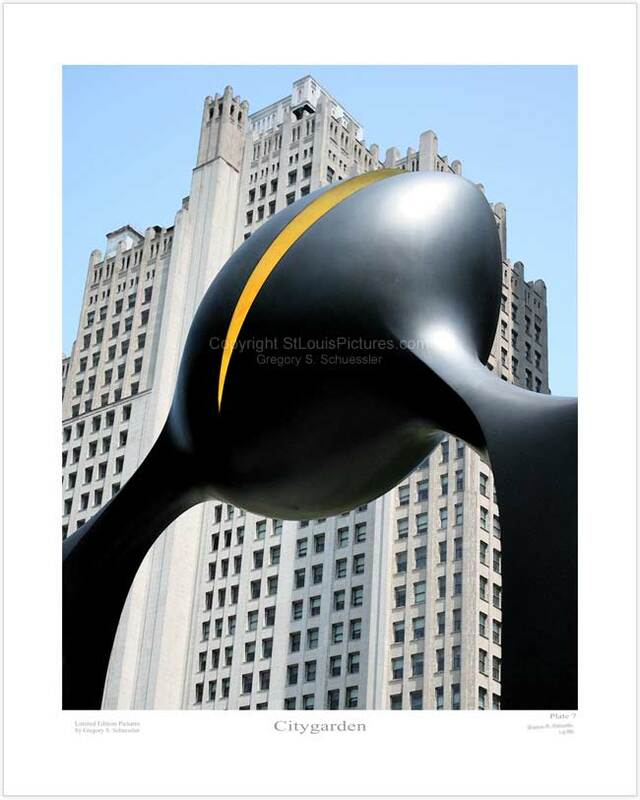 This picture displays a nice contrast between modern artwork and a 20th-century architectual style building in downtown St. Louis at Citygarden. The artist of this piece is Kan Yasuda, born in 1945. "The Door of Return" is an egg-shaped form at the top of a "door".